It’s been a tough year for my bonsais. There were quite a few casualties over the winter. I wish someone had told me that bonsai need protection even if the species are hardy to zone 4 or 5. It looked like they were sprouting new growth, but there are a late frost that killed most of it and there been no sign of life since. Among the survivors are. St. Lucie Cherry. Prunus Mahaleb. This will be his (yes, I didn’t know bonsai had genders either,) third summer with me. 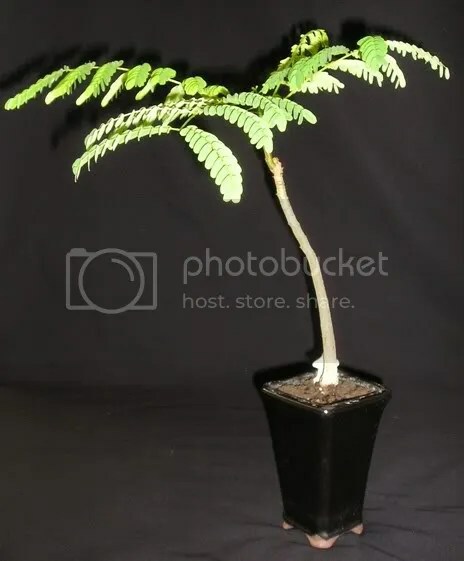 He was born in Puerto Rico and was the only one of the plants I bought that survived. 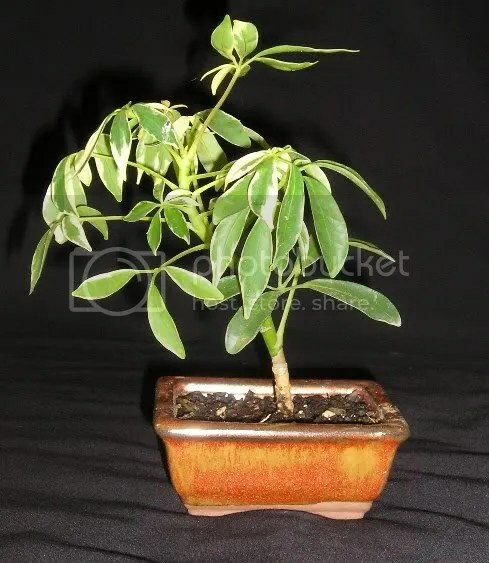 I bought this Schefflera cutting from the Lowe’s. 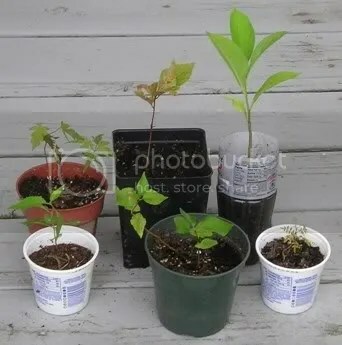 They sell of lot of easy to root cuttings in small pots for 2.97, or something. The problem is they don’t check to make sure they are rooted before they are sold. Roots are definitely something to look for when shopping for the small plants at Lowe’s. I am so happy that my Prunus Mahaleb survived. I’d rather have one than none, although I would have been happy if the Japanese maple had survived too. It is discouraging to lose seedlings that take months or even years to germinate. I started the seeds almost 18 months ago and now most of the progress is gone. Maybe it’s time to break down and buy nursery stock. 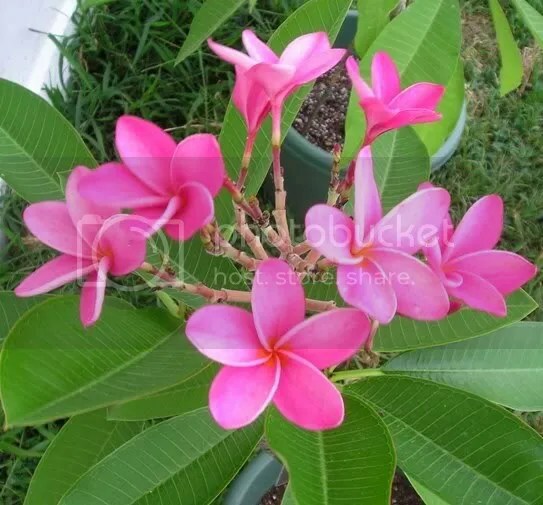 First off, my Miami Rose Plumeria has been blooming great! 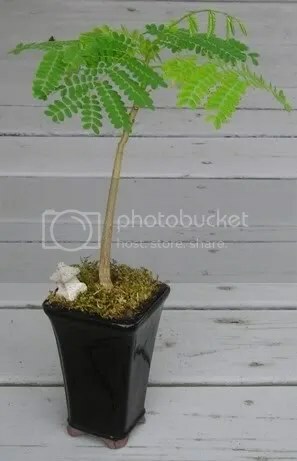 Last July, I ordered my first Bonsai starter plants from Puerto Rico, Neea Buxifolia, Singapore Holly, and Delonix Regia. I Killed the first two over the Winter, but somehow the Delonix managed to survive. After being interested in Bonsai for one full year, this is all I have to show. 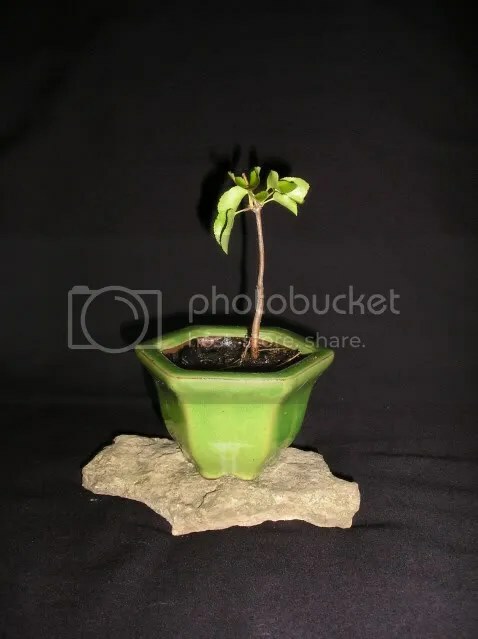 Bonsai is a slow hobby, but I have made it even slower by attempting to grow them from seed. 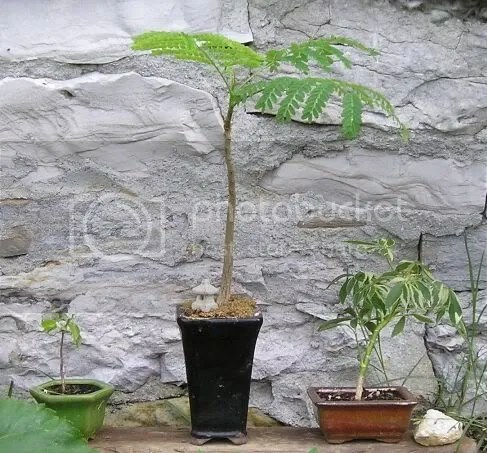 Above are my Japanese Maple seedlings, (that finally sprouted after more than 5 months in the fridge) Mahaleb Cherry, Baobab, Prunus Subhirtella Pendula, Prunus Triloba, and Jacaranda. I am very impatient and I couldn’t bear to see my Delonix in a 2L Coke bottle until Spring, so I replanted it into a Bonsai post at this unseasonable time of year. It’s been about a week since the transplant and everything seems to be looking good. It’s been a long time, but I now feel like I have reached my first milestone in the hobby of Bonsai.